Warm spicy Drowned Carnitas Party Sandwiches (Torta Ahogada) are a fabulous way to spice up any gathering! Lt. Dan likes to tease me about my chips and salsa addiction. He calls them my kryptonite, and often tells people I could eat my weight in tortillas chips if given the opportunity. In fact, we can’t keep chips in the house, because I am unable to keep my hands out of the bag. In all honesty, this addiction goes way beyond chips and salsa. I am crazy over Mexican food in all its glorious forms and fashions. If it’s rolled or wrapped in a tortilla, I’m always game. However, I also like to explore the tortilla-less varieties of Mexican cuisine, like classic Torta Ahogada, drowned sandwiches smothered in red sauce. 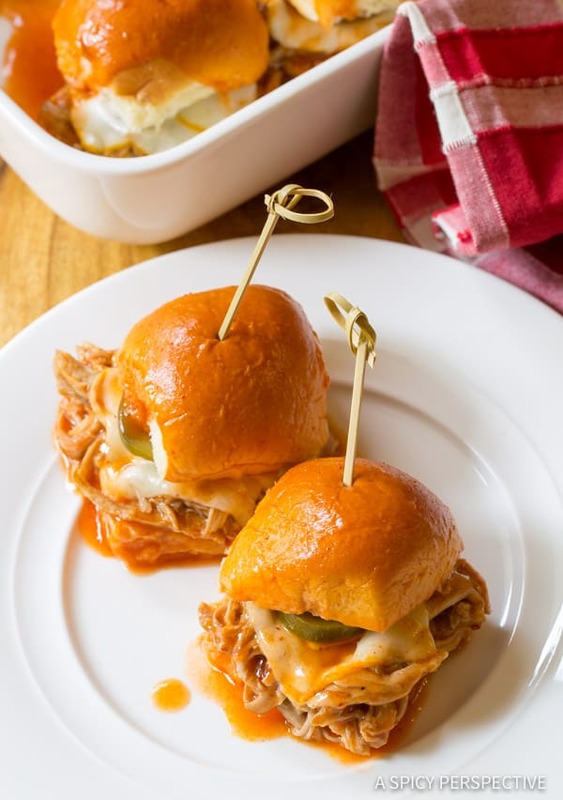 Today’s recipe, Drowned Carnitas Party Sandwiches, is a play on traditional Torta Ahogada made on small tender yeast rolls, baked in a large batch for sharing. 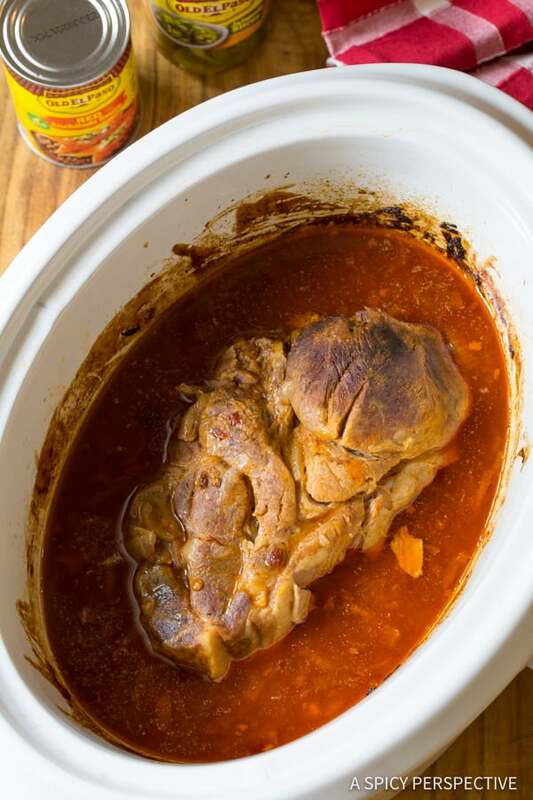 I made a simple carnitas recipe in the slow cooker with pork roast, onions, garlic, chipotle peppers, and Old El Paso Red Enchilada Sauce. The carnitas can be made several days ahead so you aren’t in a rush on the day you plan to serve the Drowned Carnitas Party Sandwiches. 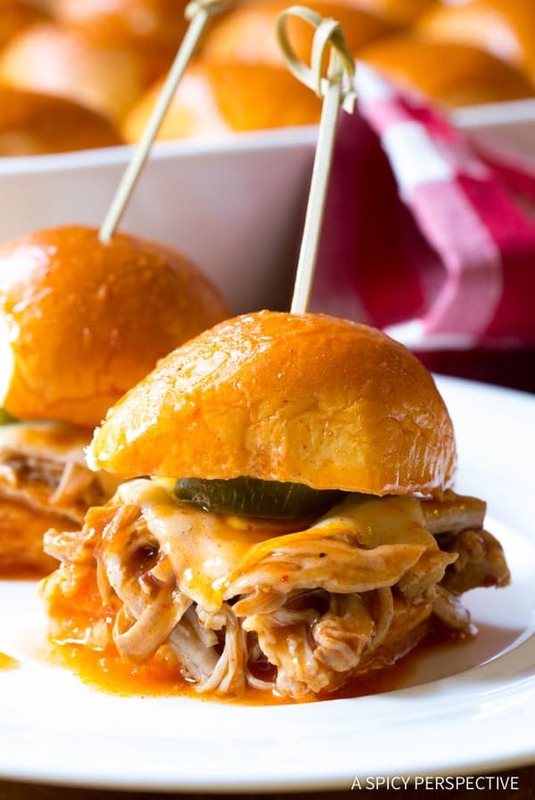 Right before your party, cut soft bakery rolls open and add the shredded carnitas. 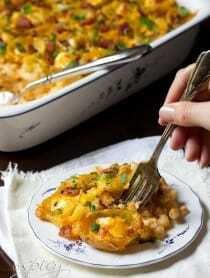 Top them with a couple small squares of muenster cheese and Old El Paso Pickled Jalapeños. 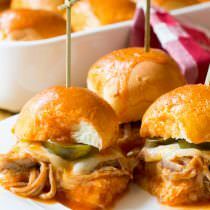 The cheese will melt and ooze over the carnitas in the oven, while the pickled jalapeños offer a bright pop of vinegar and spice. 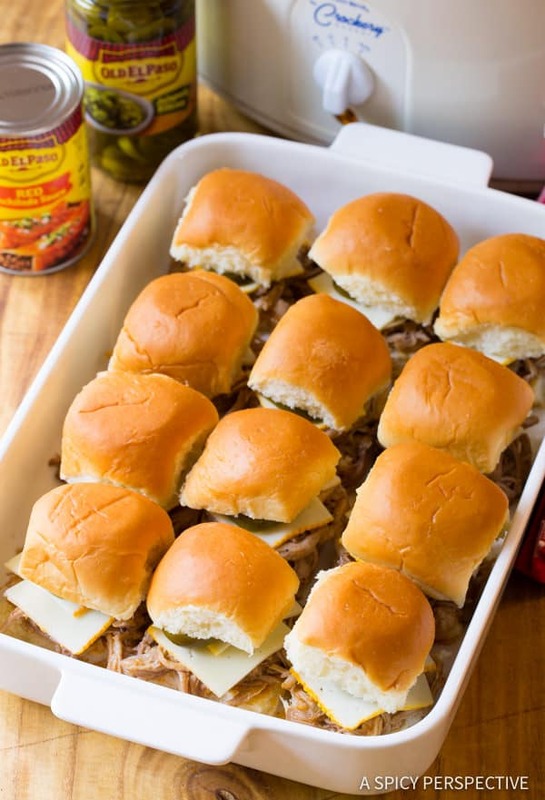 Top each mini sandwich with its roll top and place them in the oven to warm and allow the cheese to melt. 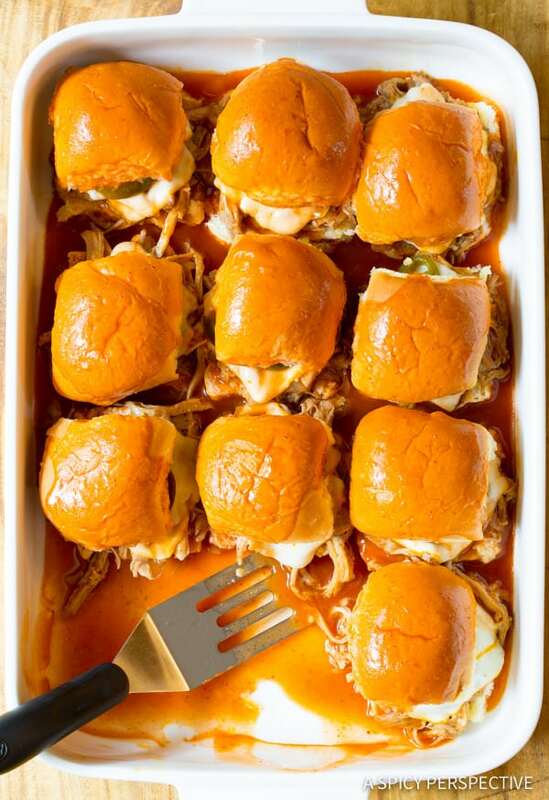 Finally, pour another can of Old El Paso Red Enchilada Sauce over the tops of the sandwiches to drown them, and pop them back in the oven for 5 more minutes. 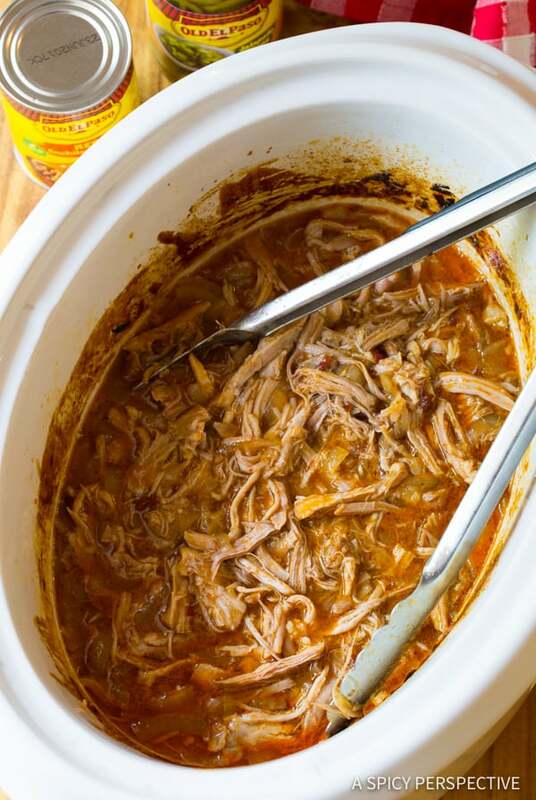 The Old El Paso Red Enchilada Sauce not only seasons the slow cooker carnitas, it provides bold spicy flavor to the saturated rolls. You can use mild, medium, or hot enchilada sauce to suit your tastebuds. 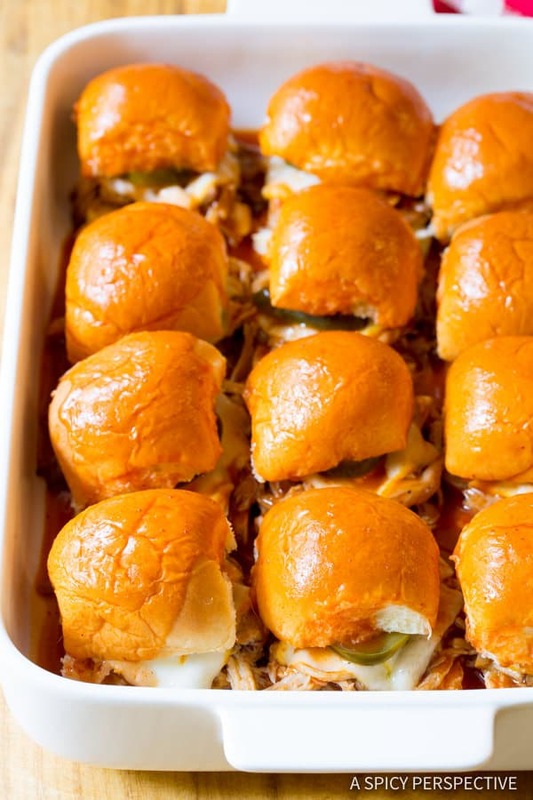 These little sloppy cheesy party sandwiches are pure Mexican bliss and the highlight of any gathering! Eat them by hand and lick your fingers clean afterward, or eat them with a fork. 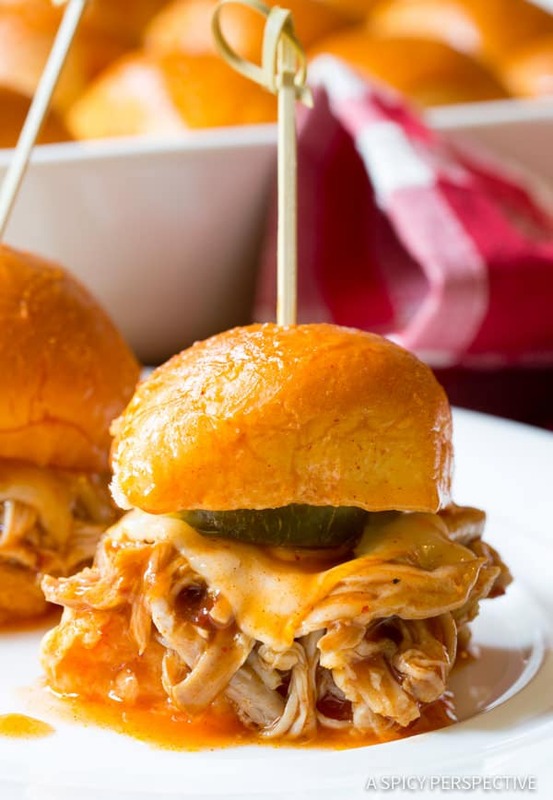 Either way, you will not be able to resist Drowned Carnitas Party Sandwiches. 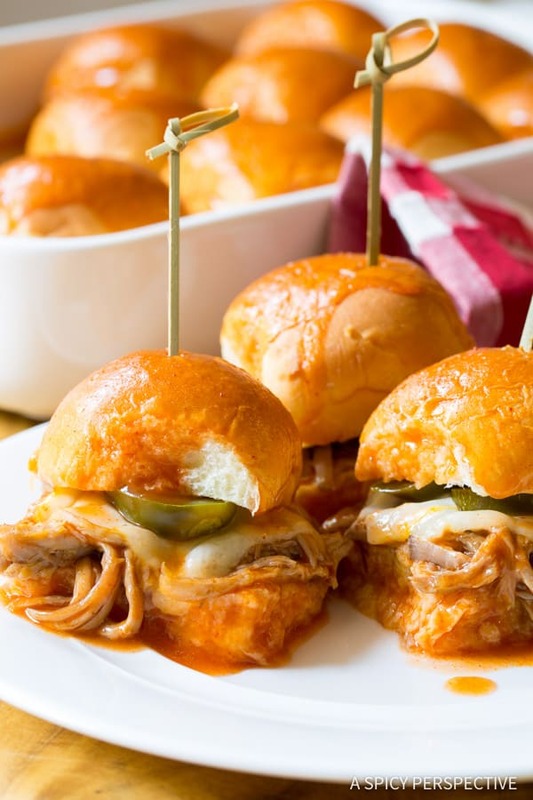 Drowned Carnitas Party Sandwiches (Torta Ahogada) – A classic “drunken” slider recipe with Mexican appeal! 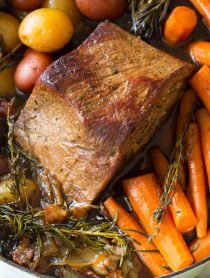 Preheat the oven to 350 degrees F. Cut the rolls in half horizontally. Place the bottom halves in a 9 X 13 inch baking dish. 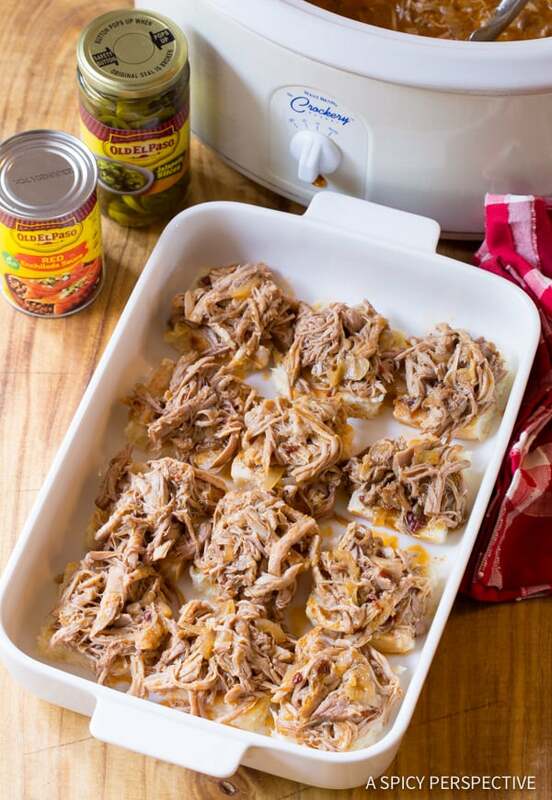 Top each roll with a heaping portion of shredded pork. 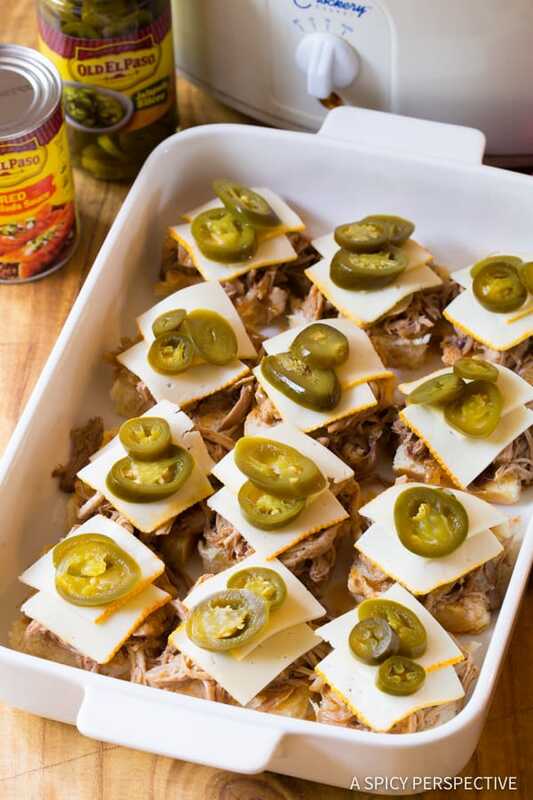 Then place 2 squares of muenster cheese on top of the pork, followed by 2-3 pickled jalapeños. Place the roll tops on the sandwiches. Bake the sandwiches for 5-8 minutes. 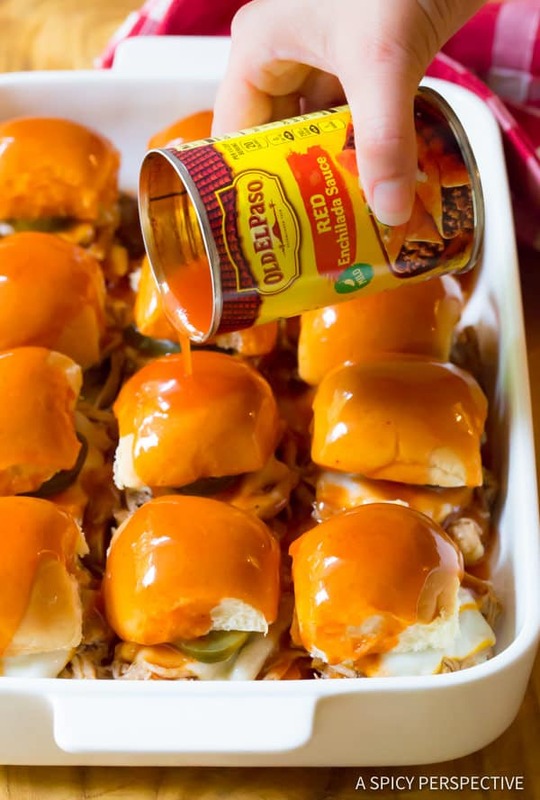 Then pour the remaining can of Old El Paso Red Enchilada Sauce over the tops of the sandwiches and bake for another 5 minutes. Serve warm! Disclosure: This post in sponsored by Old El Paso. All opinions are my own. FOR REALS! Do you even know how much I love enchilada sauce?! I love a great tortas ahogada and OMG these look perfect!!! Everything about these looks so delicious. I feel like I could eat the whole pan! This look so good!! I love that it’s covered in sauce! Don’t worry, chips and salsa are absolutely my kryptonite as well! These look delicious! I want some of these right now! The enchilada sauce is a good idea! Thanks for sharing. Mmmm..these look yummy! 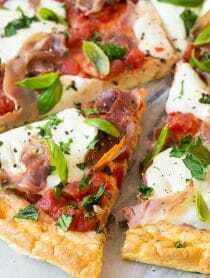 Can I substitute Monterey Jack Cheese for the muenster cheese? I want to party with these sammies! !